The developing cracks and boiling sound that is emerging from underneath Ngora rock in Ngora district has caused fear among people living near it. People from about 200 homes around the rock say that they have heard two sporadic sounds and an eruption smell from underneath. According to witnesses, who are locals living near the rock, they started hearing the noise last week and then they saw running cracks and small pieces of rocks popping out from the mother rock. Locals are afraid that they don’t know where they will go after being told to relocate by the officials from the Uganda Environment Authority (NEMA). However, according to some old locals who have been staying in the area for a long time, the similar incident happened on the same rock in the early 1970s and it lasted for more than two weeks but it stopped later. Figures from the homestead count from Ngora Town Council show that close to 220 homes live within a radius of 500 meters to the rock and this is termed as an eruption danger zone. 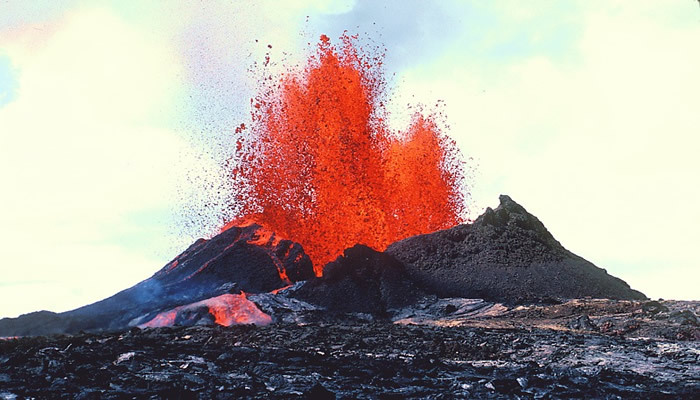 Mr. Richard Itulu, the head of Geography department in Ngora High School told reporters that the rock seems to be an active volcano basing on the manner in which it was acting. “I witnessed it making a sound blast, with some smoke emerging, it seems the heat underground has melted the hard rock into molten liquid which is now causing it to crack, and if it is an active rock, there are chances it may give way to forces underground”, he added. The environment officials of Ngora district local government have technically advised people living around the rock to take precautionary measures by staying outside the 500-meter radius. Ngora Town Council officials say that they have no idea where the people around the rock can relocate if it is an eruption building up. There are more than 50 rocks that are scattered all over Nora district according to the statistics at Ngora Local Government. According to the statement issued by the Commissioner disaster department at Office of the Prime Minister, Martin Owor, it is normal for gases to come out of a dormant volcano and they are not necessarily a sign of a potential eruption until scientifically proven. He added that cracks accumulate and emit more heat waves in the dry season which makes the surrounding hotter. “In the rare situation that a dormant volcano becomes active again, it sends increment signals over a reasonable period of time, there cannot happen a sudden eruption, the people living near Ngora rock should therefore remain calm and continue with their routine activities as scientists’ carry out tests to establish whether the sounds, cracks, and heat are normal occurrences of dormant volcanoes or something new. The population will be advised time to time”, he noted. The government, in a statement issued by the commissioner in the office of the Prime Minister, stated that Ngora rock (Otukei) is a dormant rock, which during the long hot and dry seasons develops cracks. Ngora rock is located in Ngora district in Eastern Uganda. It is approximately 230 kilometers (140 mi) from the capital Kampala. Ngora is bordered by 5 other districts including; Soroti district to the northwest, Katakwi district to the northeast, Kumi district to the east, Pallisa District to the south and Serere district to the west. The total population of Ngora district is estimated at 180,000 people (2018 estimates).